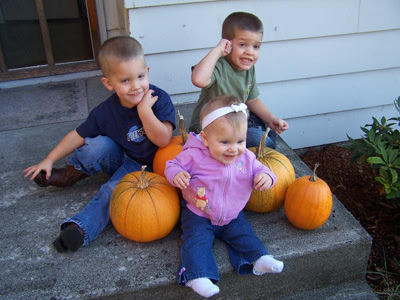 Grandpa and Grandma in Seattle(as the boys refer to them) grew there own pumpkins this year. 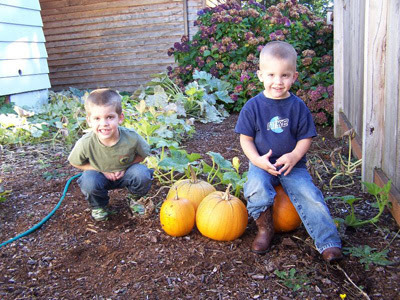 The boys thought it was way cool that Grandpa grew his very own pumpkins . We tried to get Cole to squat down next to the pumpkins but in true Cole fashion he had his own plans and wanted to sit on one. 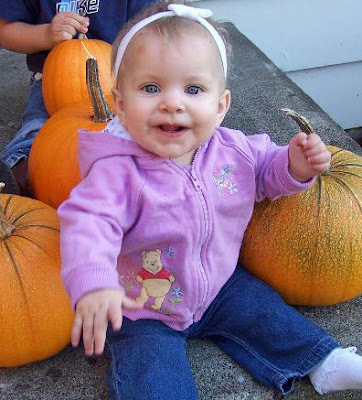 Ever try and get three kids to all look the same way and to smile at the same time. Not an easy thing I tell ya!